Konnichiwa Minna. Our February anime challenge is Kino no Tabi: The Beautiful World, the anime that won the 2017 South African Anime Awards. It is a mystery and psychological fantasy that premiered last year in October and was produced by the anime house, Lerche. The anime is based on the Kino no Tabi light novel series written by Keiichi Sigsawa. There was also a Kino no Tabi series in 2003, two Kino no Tabi visual novels, manga adaptations and two anime movies. 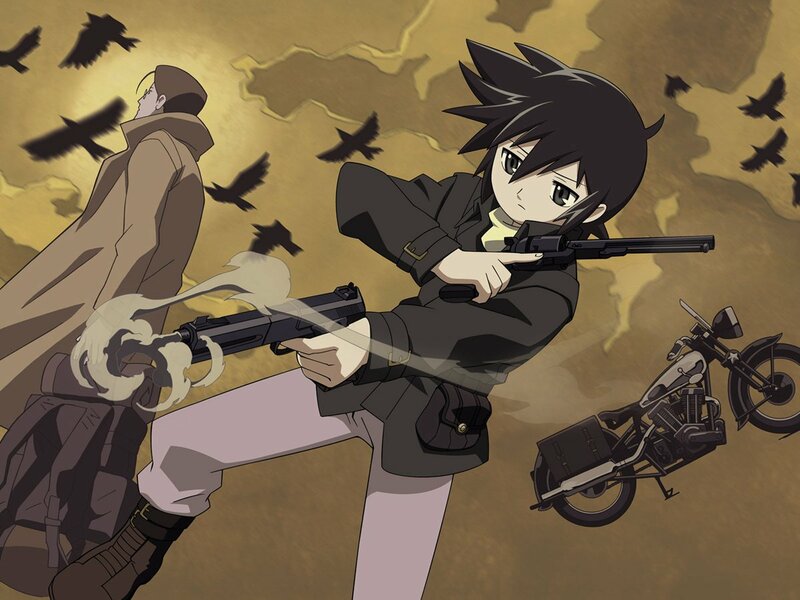 In Kino no Tabi -the Beautiful World- we meet Kino, a traveller with a talking motorcycle named Hermes. They travel the world and meet different cultures, staying no longer than three days at every destination, believing those three days is more than enough to learn almost everything important about a place. She carries weapons for protection: a .44 revolver called ‘the Cannon”, a .22 automatic pistol named ‘the Woodsman and a collection of knives (one of which can fire .22 bullets from its hilt!). Prepare to go on a sometimes whimsical, sometimes humorous and sometimes dark adventure in a beautifully crafted world where sometimes what you see is not what you get and you may find yourself learning something at the end of an episode that may be as profound as a Studio Ghibli movie. Join us in the challenge and follow the story to see where this adventure will take us. Our challenge for this week is to watch episode 1 – 3 of Kino no Tabi: The Beautiful World. Put on your biking hat and your driving goggles. Strap in your weapons, check the bike’s oil and let’s go exploring. If you have suggestions or comments about your impressions of the series, please feel free to share them on our FB Page! Have a super sugoi week and enjoy the challenge!